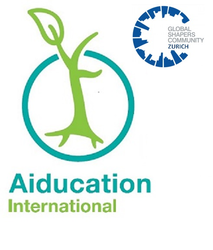 AiduAction | in memory of our member Nicolas "Artista"
in memory of our member Nicolas "Artista"
The Global Shapers Zurich Hub mourns the tragic loss of our dear friend and fellow member Nicolas, or as some of us called him "Artista." Artista/Nicolas died on March 19, 2016 while skitouring in the Swiss Alps. Besides his love for nature and sport, he dedicated all his energy and time to making the world a better place. He worked passionately for the non-profit Aiducation and mastered the skill of bringing people together from all over the world. In this spirit, the Global Shapers Zurich Hub launches this campaign in order to unite the Global Shapers as one community and continue his life's work. We invite and encourage you to make a donation and enable more students to receive a secondary education through Aiducation scholarships. We believe they will - in their own way - continue Artista's efforts of building a brighter future. Donate for an Aiducation scholarship and help us to change a life today in honor and memory of our beloved fellow Global Shaper and friend Artista.